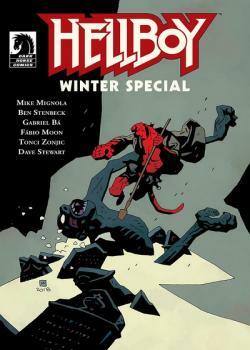 Three wintery tales featuring a Mike Mignola and Ben Stenbeck team-up. A New Year's Eve seance goes wrong when Hellboy visits a family's English home, Fabio Moon and Gabriel Ba revisit B.P.R.D. : Vampire with a new tie-in story, and Tonci Zonjic returns to write and draw Lobster Johnson.